Now that all the leaves have fallen from the willows it is time to cut them right back to the base of the stool. In some countries where they do not have much snow they often wait until the beginning of the new year, but here if we wait too long, we may not be able to get to the base of the willows until April. I planted this golden willow in my garden five years ago, and now it goes mad every year...it loved the wet summer and you can see from the photos it is well over my head, and much too branched fro basketry, but useful for sculptures. . It was cut right back last fall. If kept in a dry cool location it will stay pliable for months and keep the golden colour. 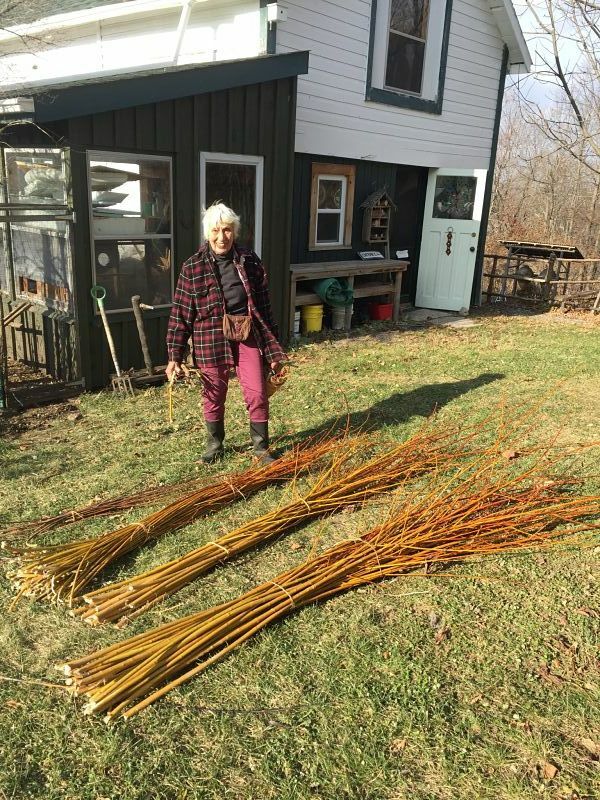 It is a good idea to divide the willow into separate bundles according to length. With a lot of willow it is easier to put the whole bundle into a barrel and scoop up the tall ones, then the middle length and so on. In England I saw them using a sunken barrel which would be much easier on the back. 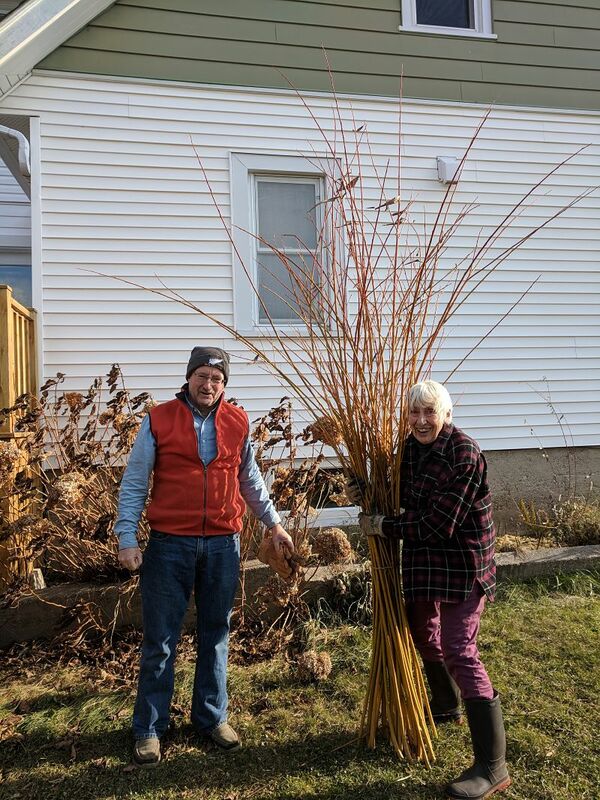 Willows are better kept standing on their butts, straight up, so they do not get bowed. Kept dry and cool they will last for years.